0.76 MB, 1920x1080px, 8.4 secs. 13.26 MB, 3840x2160px, 8.3 secs. 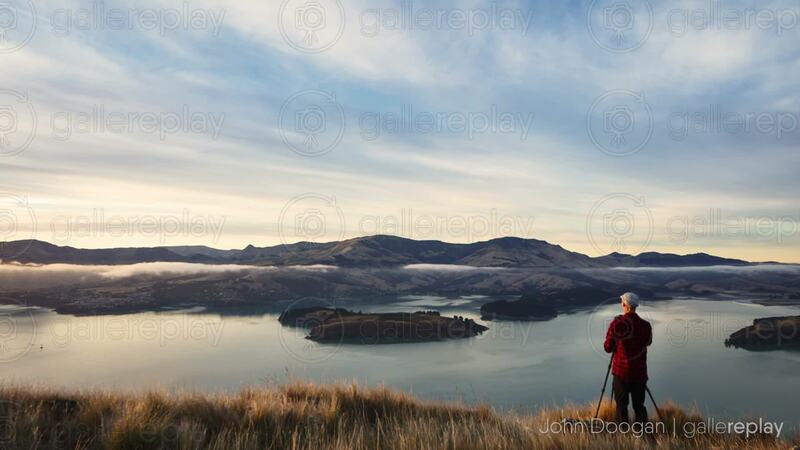 A photographer photographs a harbor in New Zealand at sunrise.